Do you have any old jeans that are sitting in your wardrobe for a long time, either because they are out of fashion or just don’t fit anymore? With a little bit of creativity, you can refashion them into something useful and here is a nice example for you. 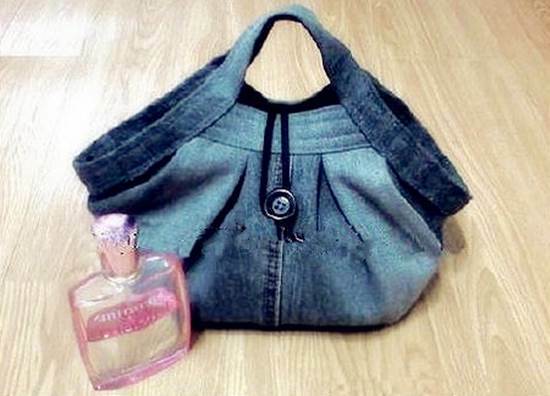 It is a nice DIY project to upcycle a pair of old jeans into a stylish handbag. Isn’t that cool? It’s very simple to make and requires just some sewing. Another great thing about it is that only the bottom part of the jeans is used in this project. The upper part remains intact and can be re-purposed into something else, such as a pair of fashionable shorts! Let’s try it! 1. Cut off the bottom part of the old jeans and cut open from the sides. 2. Measure your desired size for the handbag and make a cardboard template. Use the template to cut out the denim pieces. 3. Sew the denim pieces to connect them along the wider sides and add a piece of black cotton fabric as the lining. Sew along the upper edge of the handbag to make some folds so that it looks like the shape of trapezoid. 4. 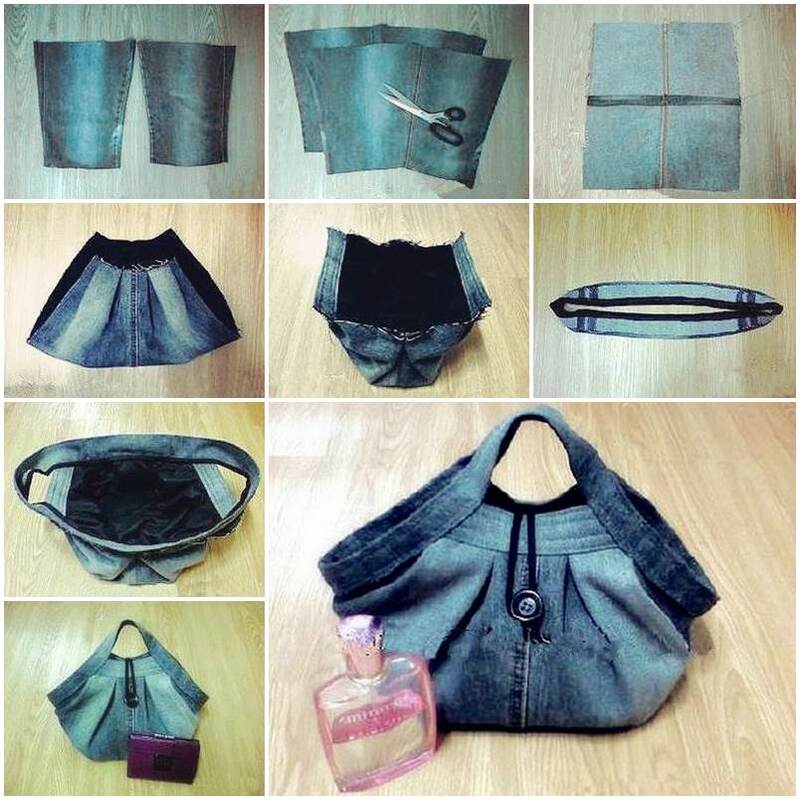 Cut out two denim strips, fold them in half and sew along the upper edges of the handbag. Tuck both sides of the handbag inward and secure the edges with thread. 5. Cut out two longer denim strips, fold them in half and sew along the upper edges of the handbag. 6. Sew the cord and the large button on opposite sides of the handbag. Flip the cord over the opening of the handbag and secure on the button. 7. Here you go. Enjoy! 3 Responses to "DIY Stylish Handbag from Old Jeans"